Pride Parades are usually celebrated in June in remembrance of the Stonewall Riots in 1969. 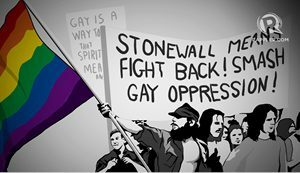 The Stonewall Riots was the event that prompted the beginning of the modern day LGBTQ movement. Stonewall was a Gay bar and after a violent raid Sylvia Rivera, a Puerto Rican transgender woman, and Marsha P Johnson, an African American transgender woman helped to lead a protest that lasted for several days. The first Pride Parade took place in 1970 in New York City, San Francisco, Chicago, and Los Angeles. The goal of these parades was to protest the mistreatment and discrimination LGBTQ people faced. 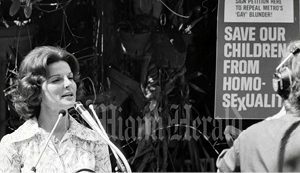 In 1977, a ban on Gay adoption was passed in the Florida legislature because of a campaign Anita Bryant led called “Save our Children”. She was a spokesperson for the Citrus industry, which lead to a national boycott on citrus products. Anita Bryant lost her job as a result of this boycott. 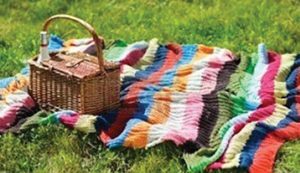 In 1979 the first Gay Pride picnic took place in Orlando. In 1987, the local GLBT Center opened to support the LGBTQ community and to provide a space for those living with HIV and AIDS. 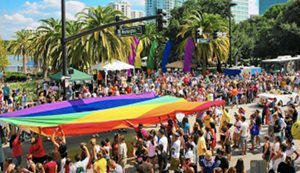 In 2005, the area’s gay pride parade and its celebration of National Coming Out Day (NCOD) combined and received a much-welcomed makeover as Come Out with Pride (COWP). The event featured speakers, entertainment, vendors and big parade. 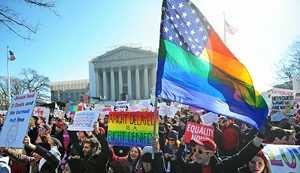 In 2013, the Supreme Court of the US overturned the Defense of Marriage Act and in 2014 the Supreme decided that marriage equality was going to be recognized in every state. 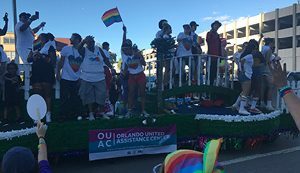 2016, Orlando United Assistance Center marched at the Come Out with Pride Parade. The history of the LGBTQ movements is full of lows and highs, but the resilience, power, and strength of our community continues to shine every step of the way. 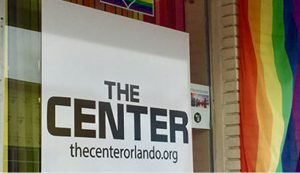 For full article on the history of the LGBTQ community please visit the GLBT History Museum of Central Florida’s website.